Libra Industries is a leading provider of customized manufacturing solutions serving organizations in a variety of industries with technically sophisticated manufacturing and quality requirements. 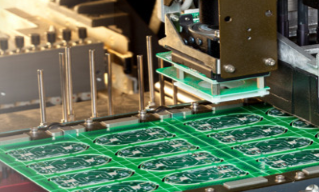 Our manufacturing solutions can be utilized in many industries including industrial automation, medical, military and aerospace, instrumentation, computer communications and radio frequency-enabled products. As a contract manufacturer, Libra is constantly faced with the challenge of balancing efficient operations and high levels of flexibility to remain agile to respond to dynamic patterns of customer demand. Implementing a custom shop floor software application to deliver greater visibility into the status of work orders and materials routing for contract manufacturing processes would greatly enhance their leadership position and maintain its outstanding customer approval ratings. Vizion developed a custom shop floor management application using our proficiency in the development of custom .NET applications. Our solution integrated with existing systems, is scalable, maintainable and secure. The process included analyzing current manufacturing processes and defining all future process requirements. In addition, the application delivered improved workflow and routing capabilities, detailed process status reporting, improved materials tracking and flexibility to incorporate future changes. Cost effective process workflows and materials management applications. An application that supports strategic and operational needs. Capabilities for greater accountability and continuous performance improvement. Ability to track and audit status of complex work orders. Manage efficient routing of materials between work stations. As your partner, we can help! We turn your company-wide data into actionable insights that can take your organization from good to industry leading!